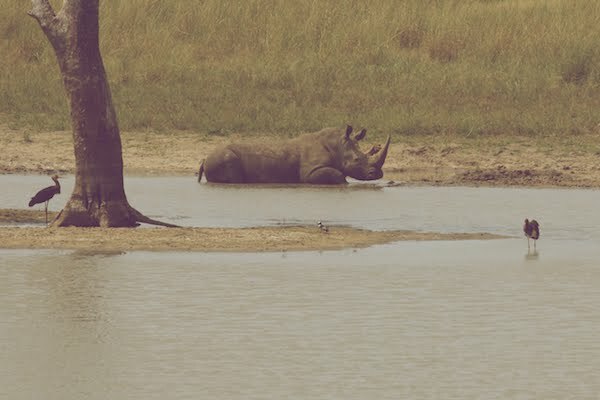 Our rhino sightings were definitely less frequent than other animals. On each day we could would almost be guaranteed to see several giraffes, elephants, or zebras, but rhino sightings were very sporadic. 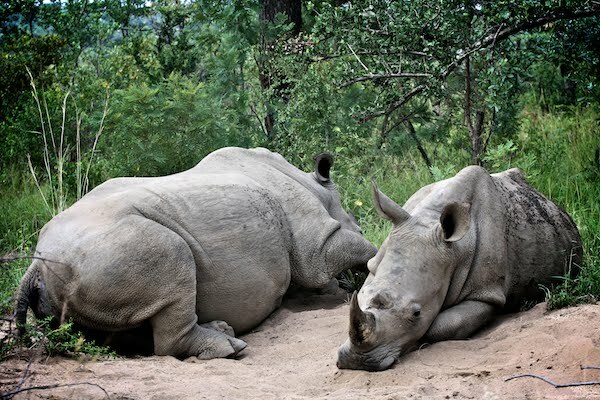 Kruger Park contains two types of rhinos: the black rhino and the white rhino. Both types are actually gray in appearance, and there are only subtle differences between them. 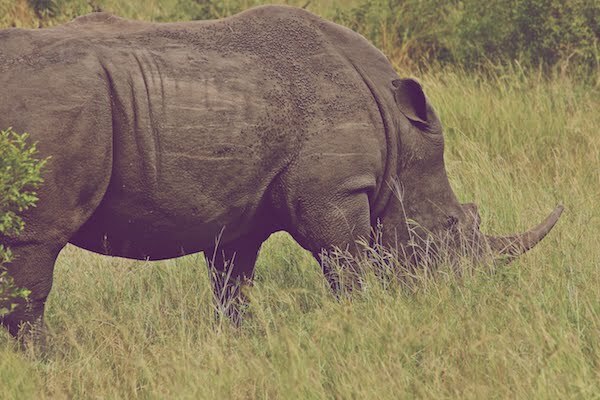 We primarily saw white rhinos, but we saw a single black rhino, wandering by itself (not pictured below). There was a poster in one of the base-camps showing a rhino carcass that had been left by poachers. 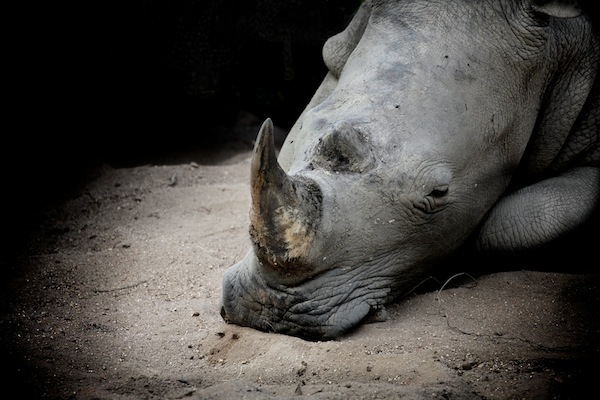 The poachers will saw off the horns and leave the animal to die. Even within the highly protected gates of Kruger, poachers are still able to wreak havoc. Apparently ground-up rhino horns are (mistakenly) thought to be aphrodisiacs in some Asian countries even though the horn contains the same "ingredients" as your toe and finger nails. Rhinos are understood to be blind, and we heard that they will just randomly charge at things, so, again, we tried to keep our distance. Sometimes the animals would just come out of nowhere, so all you can do is hope that they're not going to run into your car. i just found your blog from the cottage cheese.. and it is amazing! i can't wait to read more and learn more about your story! Same for us! 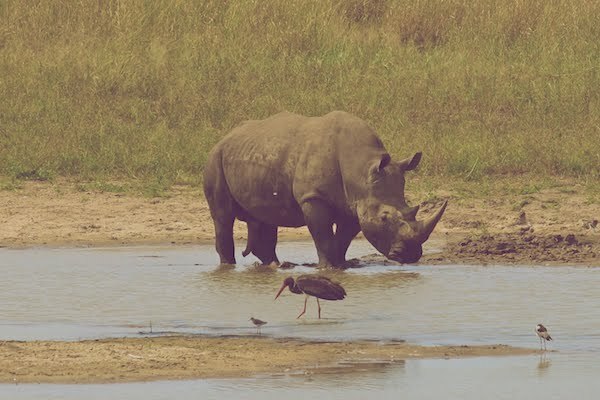 The only time we saw rhinos was actually on the drive from the Hoedspruit airport to the lodge...but never on safari! that first pic is amazing. 2. WHAT AN AMAZING thing you and hubby are doing!!! AWESOME!!!!!! 3. :) I love your pics! I can't understand some people! wow, I am in love with all your most recent posts of the animals...gorgeous pictures and such impressive animals! i can't believe you saw these in real life! in person!! so cool!